But they really love to eat Collembola—the small arthropods commonly called springtails. It's this spider snack that connects them to the belowground environment. Springtails eat both decaying plants and fungus. And, in wet tundra, the fungus in the ground largely controls how quickly dead plant matter is decomposed and its nutrients released into the soil and air. Decomposition is usually positive for plants, in that it releases more nutrients to the soil. Some of these nutrients, such as nitrogen, are sought-after fertilizers that enhance plant productivity. But decomposition is a double-edged sword for the environment. As microbes eat dead plants, they also respire carbon dioxide and methane—powerful greenhouse gases. 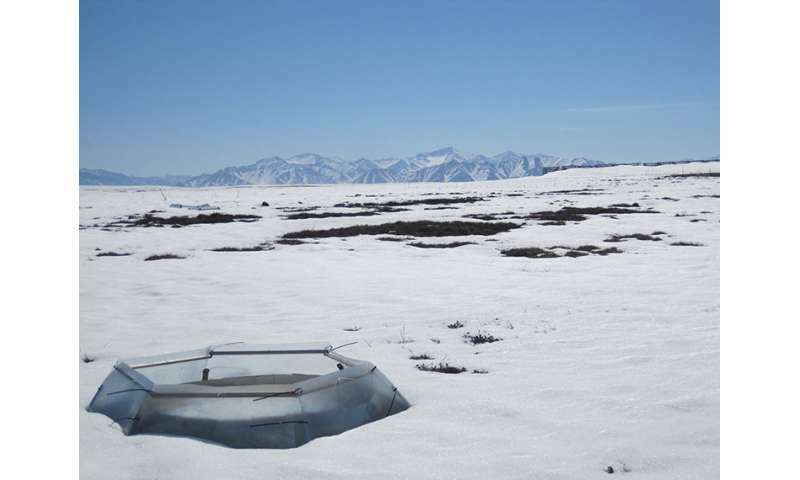 To test the effects of warming on the spider/fungus-eater/soil system, Koltz and her team installed a series of experimental enclosures in an area of arctic tundra in Northern Alaska over two summer seasons. These mini-ecosystems were 1.5 meters in diameter and separated all of the regular tundra inhabitants—including belowground animals and fungus—from their surroundings in a space where temperature and densities of spiders could be manipulated. That's good news for springtails—and maybe for the climate, too. 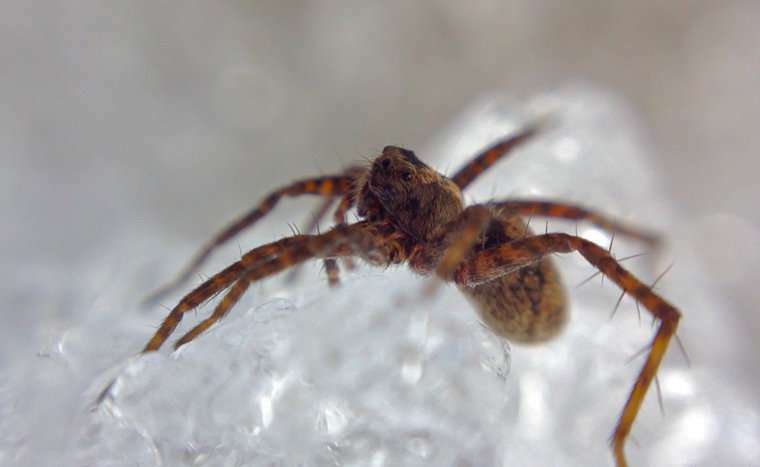 In a warming future, if wolf spiders eat fewer springtails, such that the springtails are able to eat more microbes, then there may be less decomposition—and less carbon released from the permafrost.